Want to see wild cats up close? Come on one of our private tours. Your private tour will start with a guided tour of our private Conservation Centre, where you will be the only guests on site. You will learn about the work we are doing to conserve wild cats both here in Sydney and in Southern Africa, raising awareness of the plight and vulnerability of wild cat species. These private tours offer the unique opportunity to go behind the scenes and learn about the conservation work we are involved with and meet some of the amazing animal ambassadors in our conservation breeding programs. This once in a lifetime experience provides the perfect opportunity for our guests to learn about how they can help us protect these beautiful animals, we believe that this experience engages our guests to learn more about our conservation efforts and help us protect these threatened and endangered species. 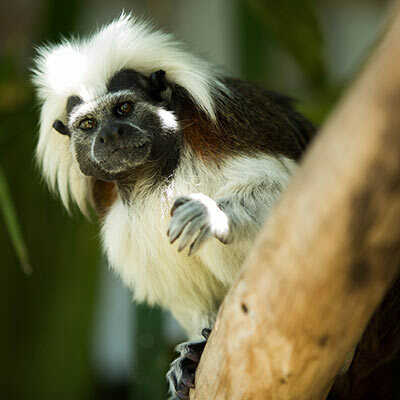 As well as our wild cats, our conservation centre also provides a home to a number of small primate and reptile species, you will enter their habitats to feed and meet some of our endangered monkeys. A tour of our small wild cat habitats including our beautiful Caracals and Servals. You will learn about the conservation work we are carrying out in Africa to conserve wild cat populations. Visit our Cheetah Breeding Complex. 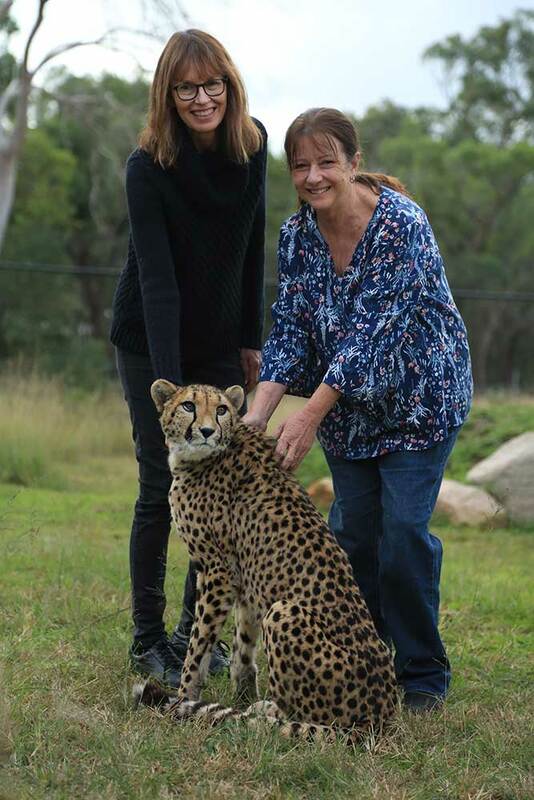 We have the only breeding facility for Cheetah in Sydney (NOTE: No direct interaction with Cheetah – add a meet and greet for an additional fee). All tours are individual and tailored to our guests so please advise us on arrival if you have a favourite animal. Our Package 1 Private Tours are for up to a maximum of 4 people at a time. This is to ensure the comfort of firstly our animals and secondly to ensure our guests have the best possible VIP Private Tour experience whilst visiting our centre. Larger group sizes can be catered for upon request. Our conservation centre offers the only interactive Cheetah experience in Sydney – you will be able to interact, pat and get hands-on with these amazing animals. Do you really love wild cats? Then our package 2 is the tour for you! The Wild Cat Conservation Centre is the only place in Sydney where you can get this close to wild cats. Your experience will start with a guided tour of our private Conservation Centre, where you will be the only guests on site. You will learn about the work we are doing to conserve wild cats both here in Sydney and in Southern Africa, raising awareness of the plight and vulnerability of wild cat species. You will tour our small cat habitats to see our Serval and Caracal before joining our staff and one of our wild cats (serval, caracal or cheetah) on an enrichment walk around our centre. A 20 minute walk through our 10 acre property and watch as our cats show off their natural behaviours only metres away from you. Sit by the waterhole and watch the cats wade and play at the water’s edge, climb trees and play in the long grass. Learn first-hand about these incredible animals as you walk alongside them, relax on our lawns and meet them face to face. These walks provide our cats with the opportunity to extend their lives beyond the boundaries of their habitats and investigate the ever changing sounds, smells and sights of our sanctuary. At the completion of our walk you will join our staff at our Cheetah Breeding Centre. We have the only breeding facility for Cheetah in Sydney and are the only organisation with our own conservation research projects on the ground in Southern Africa to conserve wild populations. Guests who walked with one of our small wild cats will be provided the opportunity to have a meet and greet with one of our Cheetah whilst touring our breeding centre. Our Package 2 – Ultimate Wild Cat Experiences are for a minimum/maximum of 2 people at a time. Available times – 11am and 1pm Wednesday to Sunday each week. Please note our Saturdays are most popular and often book weeks in advance.